Funny Light hearted sign for a remind to hang your coats and bags. Everything is made here to order, so any colour changes even wood and sizing can be done, just ask me for a custom order. 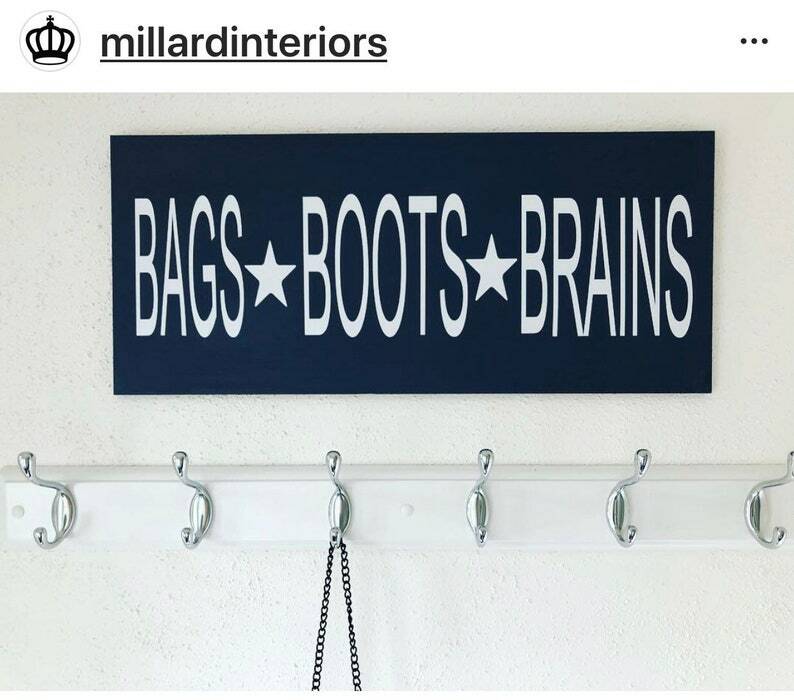 This sign was designed with a Nordic feel, the colour is a Navy Blue with crisp white vinyl words and stars. More funny tag lines coming soon. Please note I list the postage a cheaply as possible with not tracking etc. If you’d like to guarantee times and arrival please upgrade your shipping options as I cannot refund if lost in the post. I will however get proof of postage for you and search for the best shipping options available.